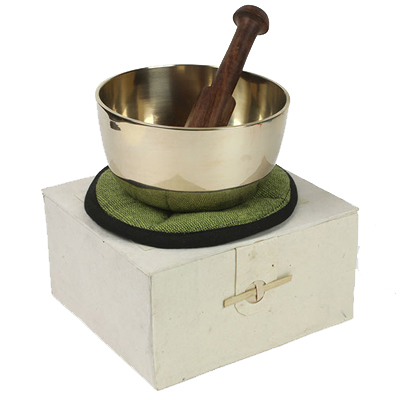 Excellent for meditation, due to its deeper sound and its weight being steadier on the hand. Makes a lovely gift. Diameter:12.5 cm, Height: 7 cm.